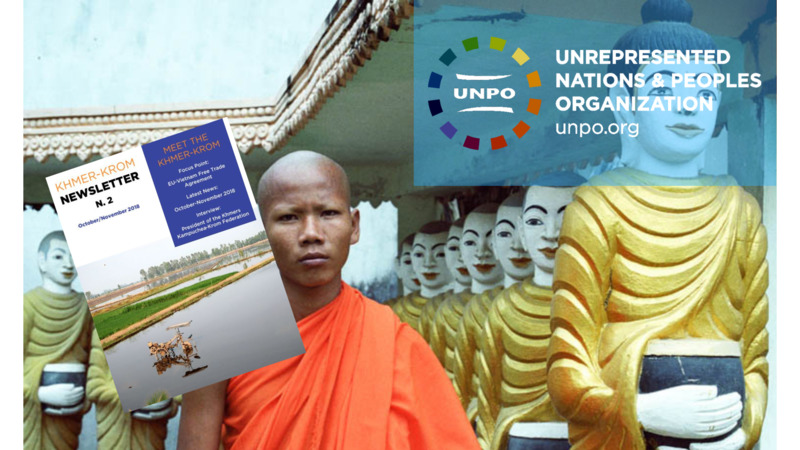 UNPO releases the second issue of a series of newsletters dedicated to the ongoing struggle of the Khmer-Krom people. This newsletter contextualises the plight of the Khmer-Krom community in the scope of international trade, and also features an interview with the President of the Khmers Kampuchea-Krom Federation. Read more about it by downloading the November-December 2018 edition of our Khmer-Krom Newsletter and follow our #Khmerkromtuesday campaign on social media.